Despite the labor market recovery, millions remain unemployed, working part-time involuntarily, in precarious employment situations, or have dropped out of the workforce entirely. Now, as always, the economy fails to create enough jobs for all those who want to work. The costs of this failure – poverty, mental and physical illness, loss of social cohesion, lack of meaningful participation in community life – are enormous and disproportionately borne by vulnerable groups. For decades, advocates called for full employment in the form of a job guarantee, and those calls are sounding louder once again. Pavlina Tcherneva, Associate Professor and Chair of the Department of Economics at Bard College will discuss her job guarantee research, why such a policy is needed, and how it would work, from funding to implementation. In addition, she will discuss how this policy would benefit those who are often excluded from full participation in economic and social life, and why a job guarantee is superior to an income guarantee alone. 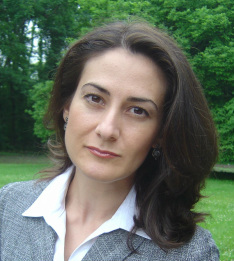 Professor Tcherneva conducts research in the fields of modern monetary theory and public policy. She frequently speaks at Central Banks around the world and has collaborated with policymakers from different countries on developing and evaluating various job-creation programs. She is a two-time recipient of a grant from the Institute for New Economic Thinking for her research on the impact of alternative fiscal policies on unemployment, income distribution, and public goods provisioning. Co-sponsored by the Women’s Law Association, the American Constitution Society, the Harvard Law School Forum, the Tax Law and Financial Regulation Students Association, and the Labor and Employment Action Project. Pavlina Tcherneva, Ph.D. is Associate Professor of Economics, Director of the Economics Department and the Economics & Finance Program at Bard College, and Research Scholar at the Levy Economics Institute. She has worked with policymakers from Argentina, Bulgaria, China, Turkey, and the United States on developing and evaluating job creation programs, and conducted research on the financial and institutional aspects of direct job creation programs, the impact of public employment on women and the environment, and the relative merits of job and income guarantee proposals. She blogs for New Economic Perspectives.